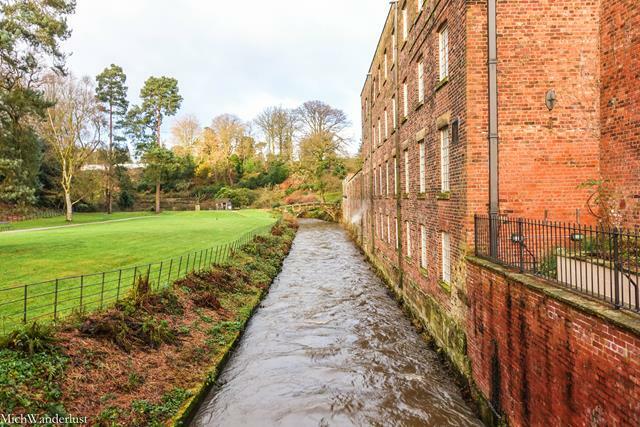 Quarry Bank is a water-powered cotton mill built in the late 1700s. 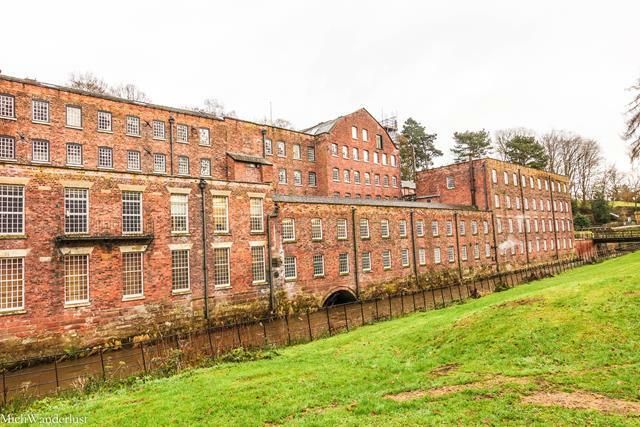 Today, it’s considered one of the best-preserved mills of its kind from the Industrial Revolution. It now functions primarily as a museum, though it still produces some cotton. And like Dunham Massey, it’s a National Trust site. As you can imagine, after visiting the Christmas at Dunham Massey event, I couldn’t wait to explore another National Trust heritage site! Don’t let the name fool you – despite being officially located in Cheshire county, Quarry Bank is actually pretty near Manchester Airport. 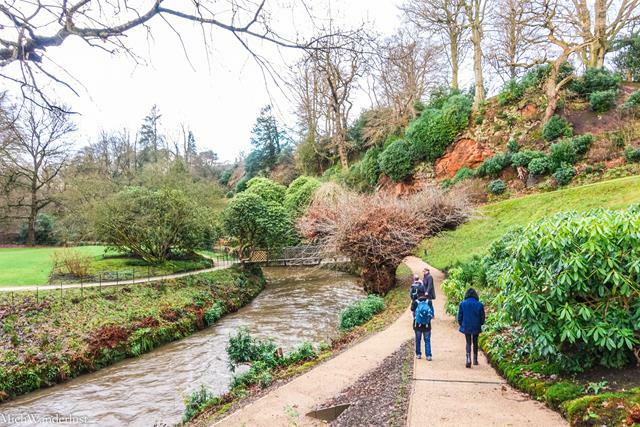 So if you’re in the Manchester area and tired of the city, a trip to Quarry Bank may be just what you need! That the mill itself is currently closed for renovations until May 2018. There’s still plenty of other stuff to see though – and we did! 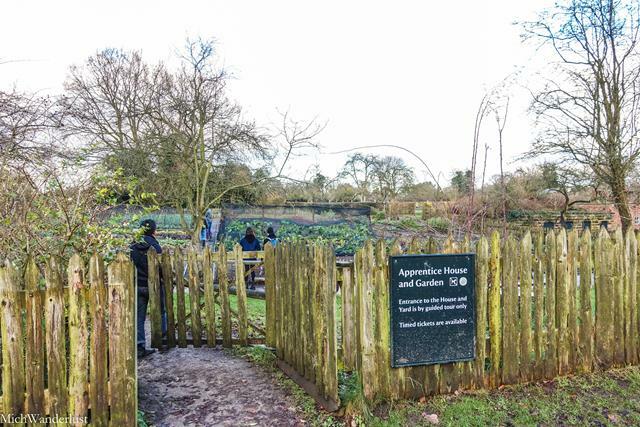 Multiple guided tours are available to help you make the most of your day at Quarry Bank. Step back a few centuries. And peek into the lives of the people who lived and worked here – from the guy at the top to the indigent children and workers just about managing to get by. And don’t forget to enjoy the beautiful grounds where you can find many locals jogging or walking their dogs! The businessman Samuel Greg built the cotton mill in 1784. 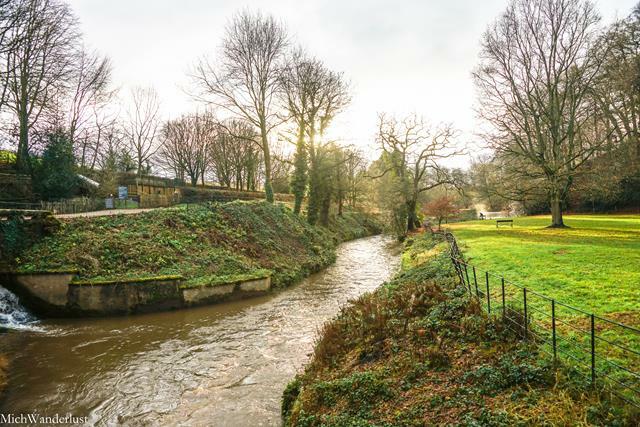 It was powered by the river Bollin and staffed by adult workers and “apprentices” – pauper children who worked at the mill in exchange for room and board. The Greg family also built plain cottages nearby and rented them out to workers. 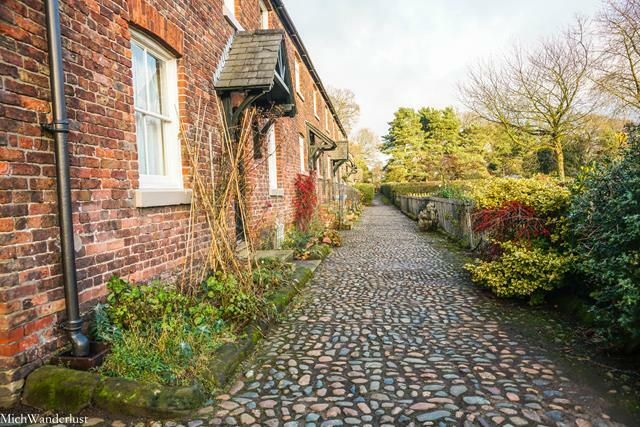 This became known as the village of Styal, where people still live today. In 1939, a descendant of the Greg family donated the estate and mill to the National Trust. 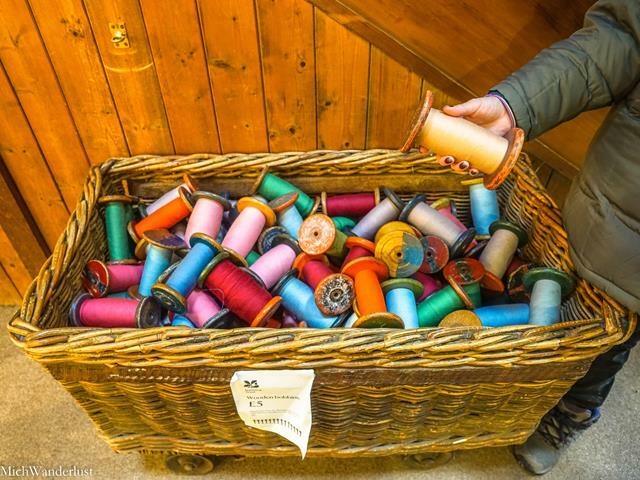 The mill continued in production for another 20 years, and the National Trust subsequently acquired the rest of the grounds that you can explore today. As the mill is currently closed for renovations, we weren’t able to go on a tour of the mill itself. 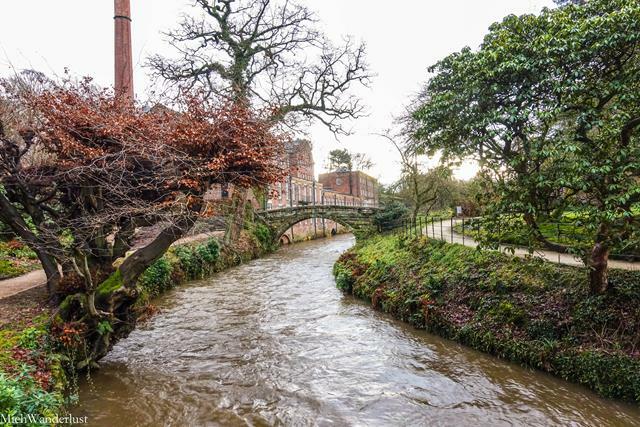 Instead, Quarry Bank offers a new tour of the grounds, where you can admire the mill from the outside. Bonus: you also get to wander through the beautiful gardens. I’ve mentioned before that I’m not a fan of the cold, being from the tropics and all that. But this walk through the gardens made me glad to be outside, despite the face-numbing chilly air. (Anyone else gets that? Or it just me? It was lovely to see so much green all around, despite the fact that winter has well and truly set in! And is it just me, or can you still see some vestiges of autumn here? It was interesting to see how the mill has expanded over the years. It does look very big now, doesn’t it?! Not being able to see the interior was a pity, but it wasn’t a big deal – you don’t know what you’re missing, after all. (In any case, I have a history of visiting museums that are closed for renovations) 🙁 So clearly my luck doesn’t change much across continents! The tour didn’t take long – my best guesstimate? About half an hour or 45 mins. Lemme tell you, holding these made me feel like a Liliputian in Gulliver’s world! I have no idea what you would do with one of these, though. Maybe if you have a giant weaving loom at home…?!? The Apprentice House is where the apprentices (those children who worked here in exchange for room and board) lived. 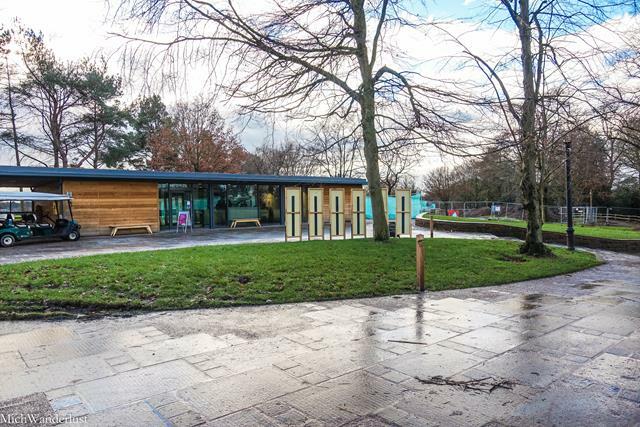 It’s impossible to miss – this is the first building you’ll see as you leave the visitor centre. 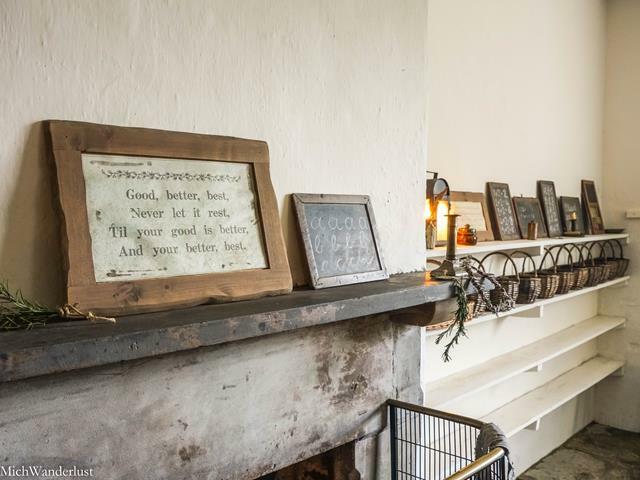 Regular guided tours of the Apprentice House are available, which you should really check out. And if you have a few minutes before the tour, you can take a gander in the garden adjoining the house. 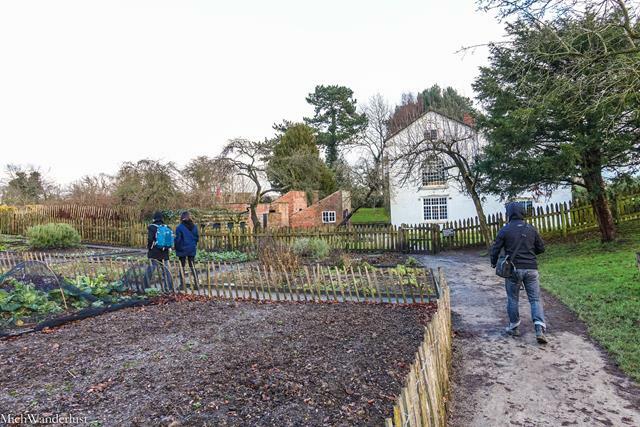 This is where the apprentices grew their own food – outside of working hours, of course. You can still see the plants being grown here, but what with it being winter and all, not much was growing at the time we went! 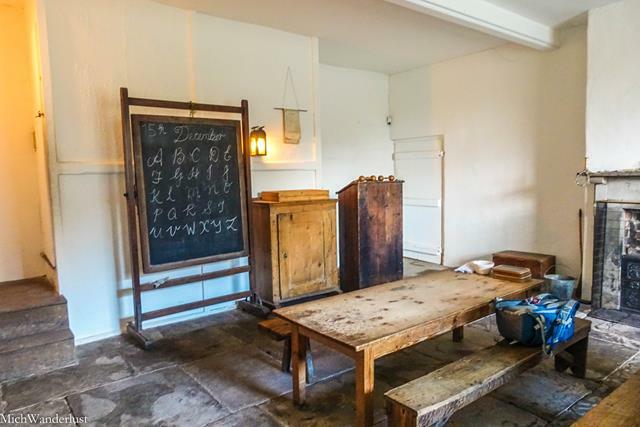 This is where the children learned to read and write in their “free time” (which wasn’t actually all that free). The girls only learned the basics of reading and writing (let’s not get into how much that makes my blood boil). But it came in really useful later in life, especially for the boys. One of them even went on to become the manager of the mill! The Gregs were considered a fairly benevolent employer at the time because of projects like this. Seems hard to believe now, in a world where literacy is pretty much taken for granted, right? It was hard to keep from squealing when I saw this poem displayed. It’s famously (to me, at least) a nursery rhyme that Tim Duncan‘s late mother used to recite to him when he was little. And it’s allegedly his personal motto. How inspiring is that! All that to say: it’s not exactly Humpty Dumpty, you know what I mean? 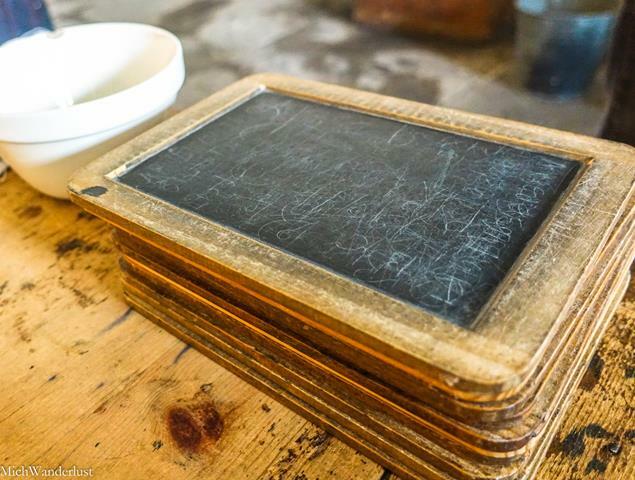 And yes, those are actual writing slates (and pencils). Time to start feeling like you’re in a Dickens novel, if you haven’t already! Yet another reminder of just how good we folks have it these days. In those days, the girls slept 2 to a bed and there would’ve been far more beds than there are now. 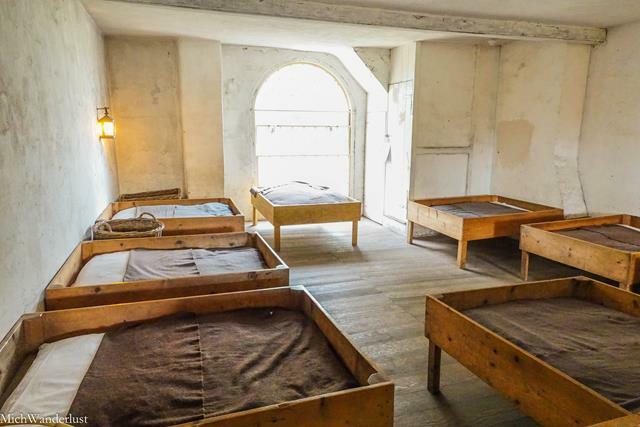 In other mills (with less benevolent employers), they would have crammed even more girls into each bed! 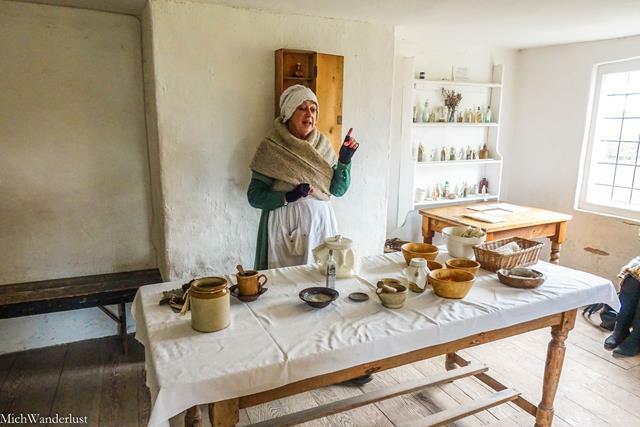 In this room, our guide – magnificently decked out in period costume – told us about medical care in the Apprentice House. She also showed us some of the common treatments they used in those days. Anyone fancy a leech?? As someone who enjoys food greatly, I also enjoy wandering around other people’s kitchens greatly. 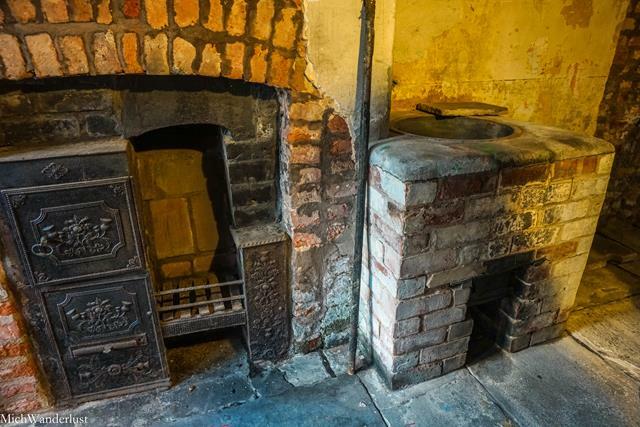 Especially when those kitchens are from very long ago! All I will say is that I’ll never look at oatmeal the same way again. The entire tour took about an hour and was fascinating. 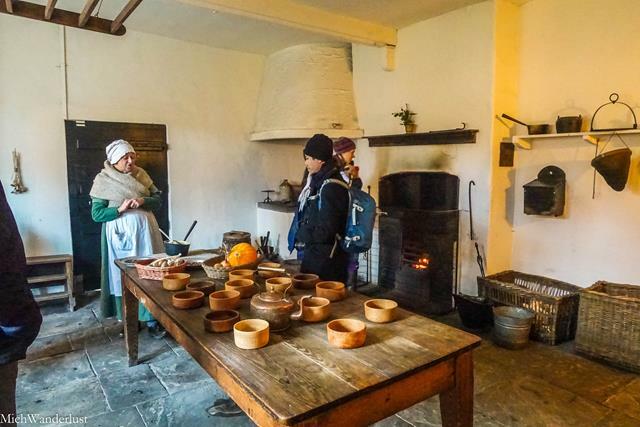 Our guide knew so many details about life in the Apprentice House, and all the displays were so well set-up, it was easy to forget you were in the 21st century. Just 5 minutes’ walk from the mill lies a row of cottages, built by Samuel Greg for his workers. Not for free, of course. He rented them out and also ran a small provisions shop in the village, so he must have been really raking it in. Most of the cottages are still occupied – they are now owned by the National Trust, which rents them out. You can go into one of the cottages, though, as part of a tour. 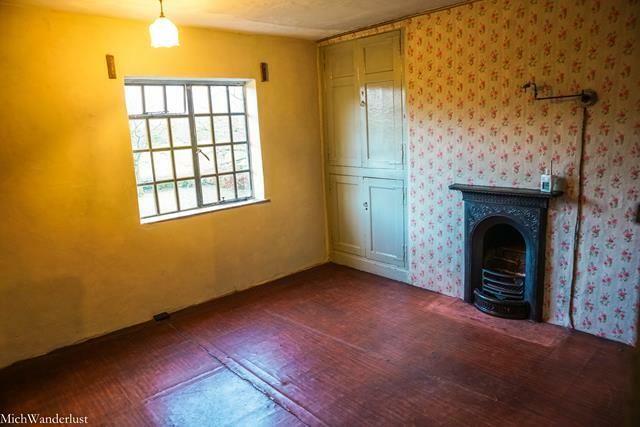 It’s unoccupied and unfurnished, but otherwise has been nicely restored to give you a good idea of what life was like back then for the people living here. We know, for example, that it was not uncommon for tenants to have lodgers. They would be known as one “household”, even though they weren’t related. Above is the master bedroom where the main tenants slept. If you think this is small, wait till you see the back room where the lodgers slept! And below, the basement. This was rented out separately by the Gregs (clearly very shrewd businessmen). Being in the cottage (especially down in the basement) was a very sobering experience. It’s all too easy to imagine living in those cramped (and cold!) quarters, with most of your wages going towards rent and food. And you know what? These living conditions were actually considered better than average, especially compared to living conditions in the city. 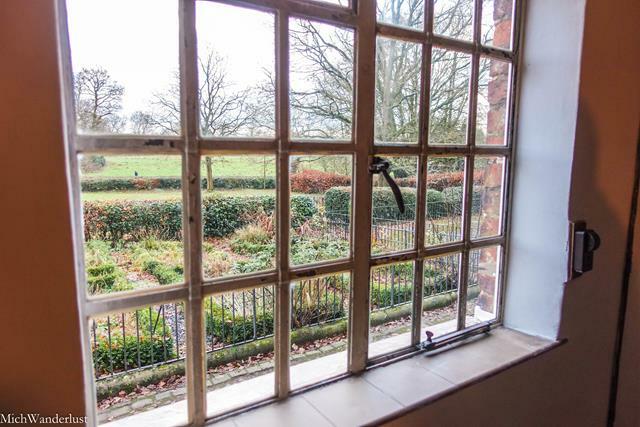 There are so many lovely old houses in the UK (and elsewhere in the world) which are now open to the public. It’s easy to wander through them and get a romanticised view of what life was like back then. But don’t forget: you’re only seeing half the story. In fact, less than half the story, since those nice houses we all love to visit are very clearly One-Percenter territory. And let’s not forget, too, that inequality still very much exists in the world today. Despite all the progress we’ve ostensibly made over the last 300 years, there is still a vast (and widening gulf) between the haves and have-nots. If you have the means to travel, you’re already more privileged than many. So during this festive season, how about sparing a thought for the less fortunate among us? It could be something as small as giving some change to that homeless person you pass by on your way home. Every little bit helps. It has to. One of the reasons I really enjoyed my visit to Quarry Bank was that they showcased life on both sides of the track. And I’m really looking forward to coming back and checking out the mill! How to get there: We drove, but you can also get there by train (2 miles from Manchester Airport and Wilmslow). There are buses from both train stations. Opening times: Each attraction (e.g. Apprentice House) has its own opening hours, but if you go between 11am and 4pm you’ll have plenty to do. In summer most attraction are open until 5pm. Admission: GBP11.70 (about USD16) for a standard adult ticket, GBP5.85 (about USD8) for a standard child ticket. Free for National Trust members. Do you think museums and heritage sites do a good enough job of showcasing life on both sides of the track? 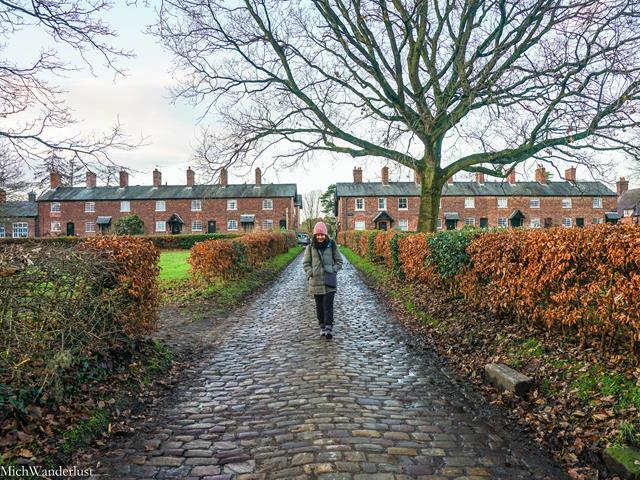 Previous Previous post: Christmas at Dunham Massey in Manchester, England: Is It Worth Braving the Cold and Rain? Sorry for the super late reply, Kat =X just wanted to say thanks for stopping by! I can’t believe the mill was under renovation, but I guess that is just your luck. I do think you make a good point, I just think a lot of people are not interested in the life of those on the other side of the track. If there was more demand, I think attractions would cater to it. Thanks for sharing on #TheWeeklyPostcard. Couldn’t agree more, Staci! We’re really lucky. What a picturesque place! I love exploring heritage sites. There is always so much information on hand and so much to learn. 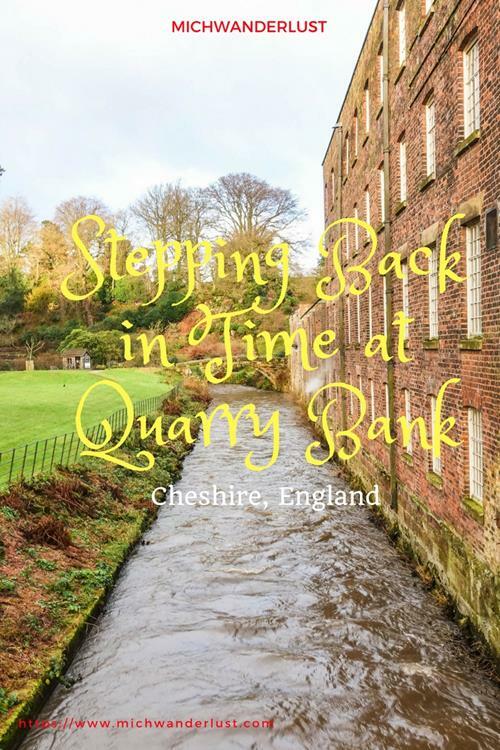 This probably wasn’t the best time of the year to visit Quarry Bank, but since you were in the area for the Durham Msssey event it was a smart move to do, even if it was cold. Hope you’ll have a wonderful year in 2018, Michelle. Safe travels and all the best! Hey Anda, thanks so much for your sweet comment and well-wishes (I’m super embarrassed that it took me over 3 months to reply!) Hope you’re having a great year so far!! What an interesting piece of history to explore. Shame the mill was shut – but sometimes these are the hiccups you encounter when travelling. That seems like a really fantastic tour, and fascinating place. You mentioned Colonial Williamsburg, but it also reminds us of George Washington’s Mount Vernon. Definitely someplace we’d like to visit, so we’re pinning this for later. Thanks, as always, for sharing with us on #TheWeeklyPostcard! Wonderful Places. That is a interesting post and I learned many think about this post. There you give many information on this post this information really help on them and all the image is wonderful capture. That is interesting. Keep posting dear. Thanks for your kind comment, Jon! The parks is full of treasure. I just love finding treasure. Someone tell me i am addicted with finding treasure. The national parks views is great.